Serious lawyers for serious cases. The Amaro Law Firm is dedicated to helping people and businesses wrong by others. We pride ourselves on helping the underdog. Since the 2005 BP explosion in Texas City, we have helped thousands of people and businesses across the U.S. receive the justice they deserve. R. James Amaro has been inducted into prestigious legal groups such as Super Lawyers - Rising Star 2014, AV-Pre-Eminent Rating by his peers in 2014, Top 40 under 40 in 2013, 2014 by the National Trial Lawyers Association, Top 100 Trial Lawyer in Texas by the National Trial Lawyers since 2011-present, the Multi-Million Dollar Advocates and Million Dollar Advocates Forum since 2011 limited to the small percentage of trial lawyers who have handled cases which have resulted in recoveries over a $1M. 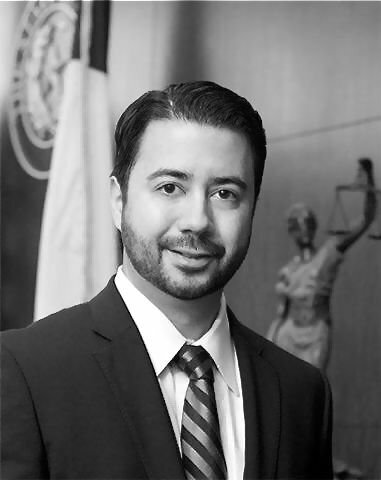 Mr. Amaro is also a member of the Texas Trial Lawyers Association, Mass Tort Lawyers Association, Houston Trial Lawyers Association, the American Association of Justice - Trucking Litigation Group, and the Association of Plaintiff's Interstate Trucking Lawyers of America. Our firm is different from other law firms because when we take a case, we run over every stone and prepare it as if it will end up in trial. Our law firm has earned the reputation of being smart, aggressive, honest, and tenacious. University of Wisconsin at Madison Law School, J.D.